This Summer, I had the opportunity to be a part of a ridiculously creative bridal shoot with a team of insanely talented ladies and it was AMAZING! 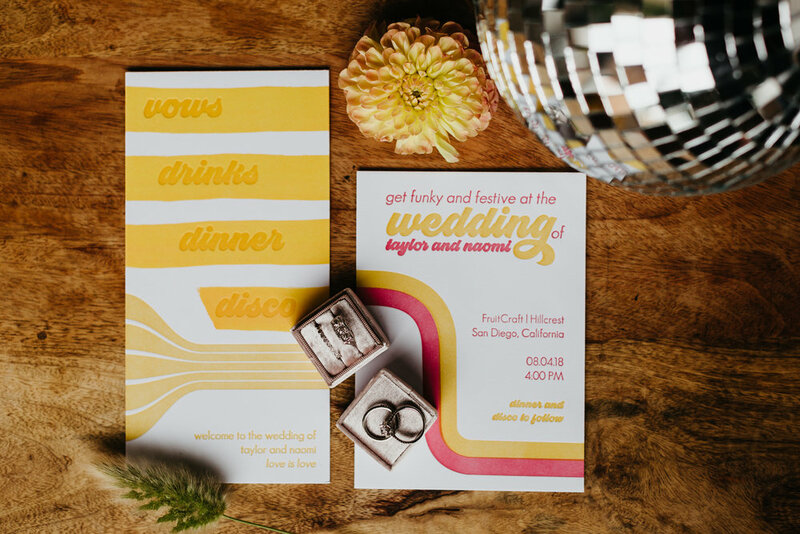 The 70’s-inspired shoot focused around a radiant female couple and featured everything your disco/boho/industrial wedding dreams are made of. 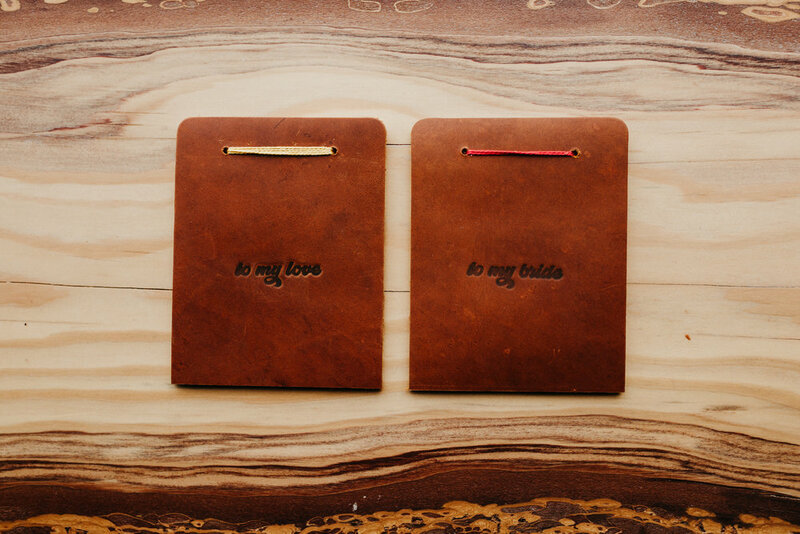 I challenged myself to create products that would live up to the empowering retro concept, and, in the end, I walked into shoot day with my bag full of letterpress products ready to make their debut: wedding invitations, programs, coasters and leather-cover vow booklets. Thanks to our one-of-a-kind photographer, Kami Olavarria, the entire day was captured from start to finish. Fast-forward two months — today, Green Wedding Shoes graciously featured the shoot on their website! I feel so grateful to have been a part of this project and am looking forward to the next time that I can collaborate with such a fierce team of creative individuals!